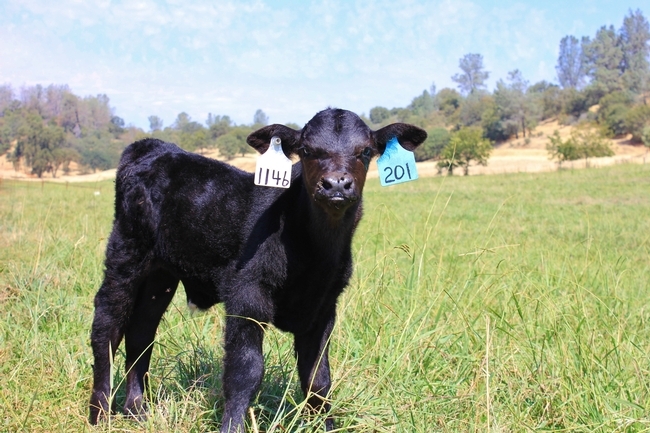 This assessment evaluates the health and handling of cow-calf herds. Earlier this week researchers visited the SFREC beef herd to perform the first run of a newly designed assessment method. With growing interest in animal health and welfare, especially in regards to livestock used for human consumption, there is a need for an assessment tool that is consistent, well-designed, and agreeable amongst multiple audiences. 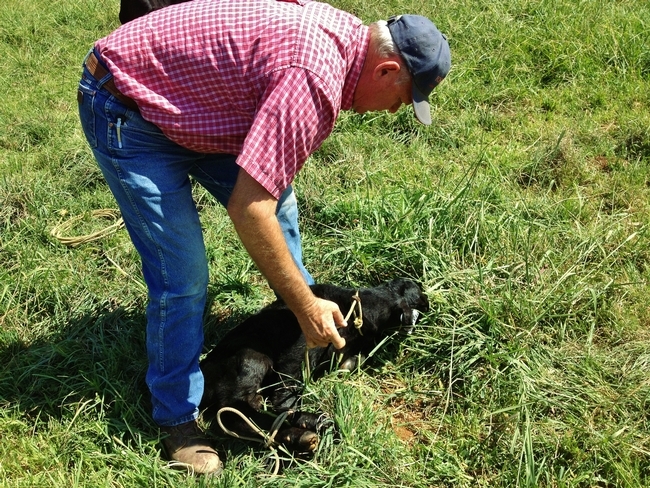 Animal health observations are factored into the assessment. Members of the UC Davis Animal Science Department took on this challenge by proposing a project to develop and administer a cow-calf health and welfare assessment tool that will generate baseline information regarding beef health and handling. 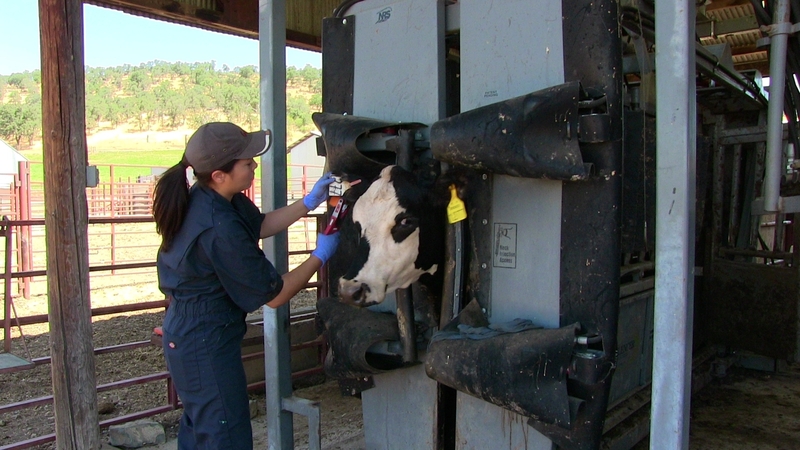 Some of the specific details involved with this cutting edge design involve a pre-visit survey that determines components of the operation, animal handling observations, and an animal health assessment. 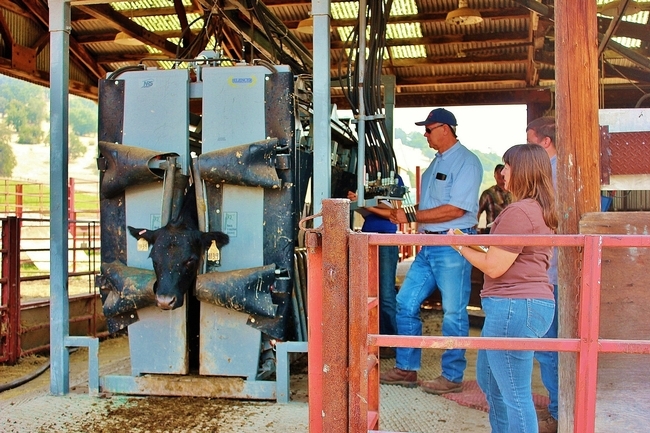 The assessments are confidential and will be used to generate training materials that producers can then utilize to improve the health and welfare of their herds. The leaders and key individuals involved with this project include Cassandra Tucker of the UCD Department of Animal Science, Bruce Hoar – the Western Institute for Food Safety and Security, and UCD graduate student Gabrielle Simon. Researchers are looking for additional operations to assess. 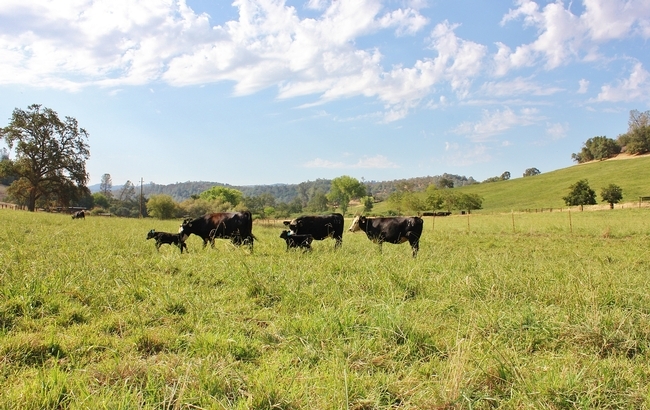 The Sierra Foothill Research and Extension Center was the first livestock management system to be assessed through this proposed program. Researchers are currently seeking participation from additional cow-calf operations to test and fine-tune the assessment tool. Summer is a prime time for pinkeye on California rangeland. 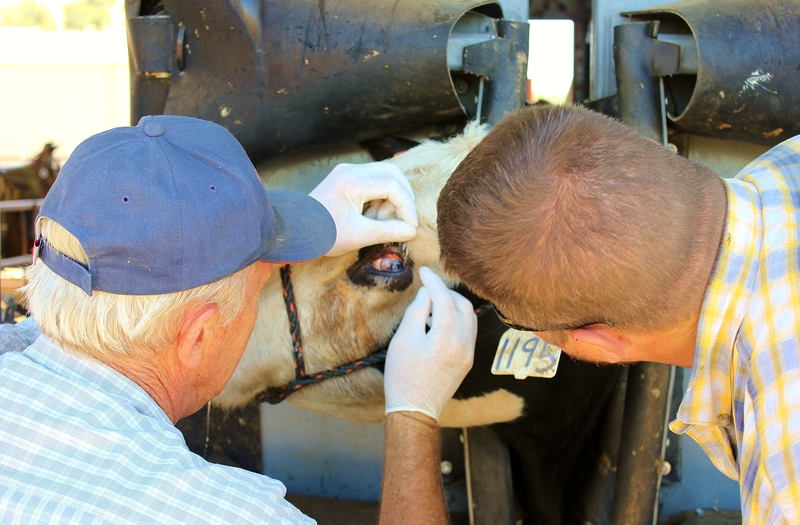 SFREC is not excluded from this problem so we screen for pinkeye frequently, particularly during animal handling efforts. Pinkeye is often observed as an oozing, discolored, bulging eyeball. Pinkeye, known in the science community as infectious bovine keratoconjunctivitis (IBK), is a bacterial disease which has varying degrees of severity. This troublesome inflammation can ultimately lead to blindness in severe cases. 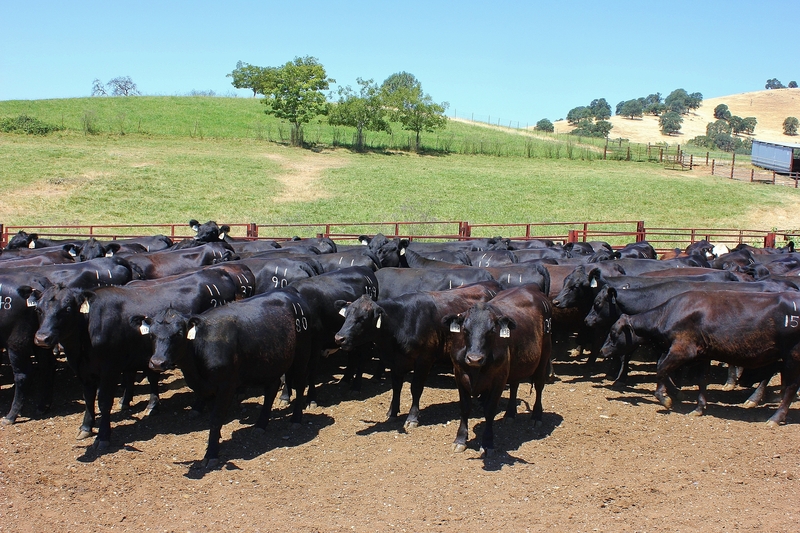 Last week, 103 heifers were examined for pinkeye at SFREC. 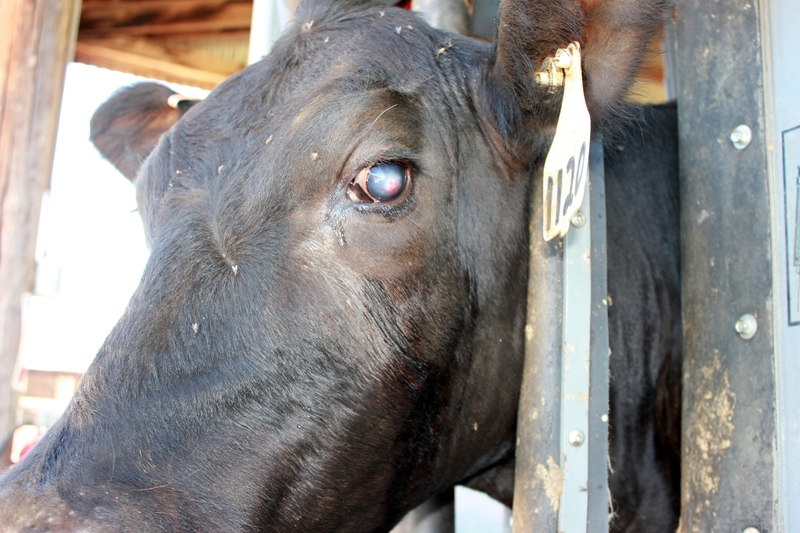 Most of the cattle had no visible symptoms of eye troubles, but a portion had some degree of pinkeye present – healing, active, or scarring. 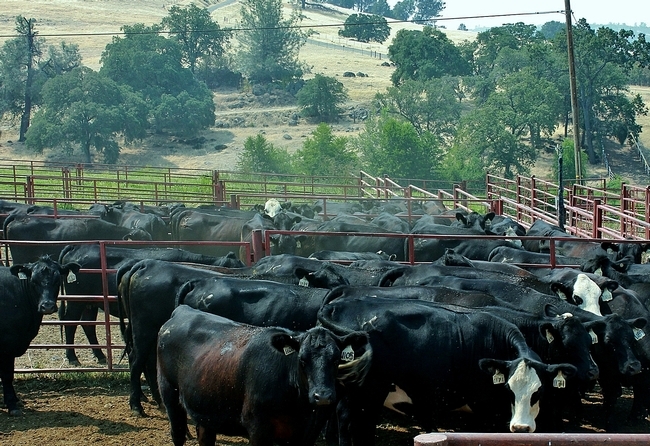 A successful management strategy for pinkeye in cattle involves an integrated approach that should include mineral supplements and quality nutrition to help maintain a strong immune system, reduction of environmental irritants (i.e. those annoying little creatures called flies and tall grasses), and a well-planned medication strategy. Isolation of infected animals is always a wise measure to take. Be sure to contact your practicing veterinarian for specific questions and recommendations. An integrated approach is best for managing pinkeye in beef cattle.